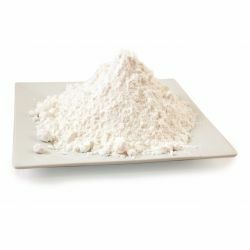 Cream of tartar is a byproduct of the winemaking industry. During fermentation, a sediment forms on the inside of the barrels, containing tartaric acid. These are crystals of argolis. These are ground, purified, dried, and reground to produce cream of tartar. Cream of tartar in our Bubble Bars helps to give those fantastically frothy, Hollywood-style bubbles. We use cream of tartar, sodium bicarbonate in combination with a shampoo base to form a versatile paste. This paste can be used to make an endless variety of different shapes. We are able to add to the bubble bar paste softening ingredients for the skin - such as coconut milk powder, essential oils and solid bath melt mixture - plus colour and fragrance. For a final flourish, we often finish them with extravagant decorations. Cream of tartar and sodium bicarbonate are the constituents of baking powder. In baking, they create an aerated texture. In water, this releases carbon dioxide, creating the lightness of texture in the product. We use cream of tartar with sodium bicarbonate to make our exclusive (and highly innovative) Bubble Bars. It is used in Bathos Bubble Bar, Blue Skies and Fluffy White Clouds, The Comforter Bubble Bar, Ma Bar Bubble Bar, Amandopondo Bubble Bar, Creamy Candy Bath Bubble Bar, Sunny Side Bubble Bar, Flosty Gritter Bubble Bar, French Kiss Bubble Bar, Karma Bubble Bar and Pop in the Bath Bubble Bar.